6 Quick Packing Tips for Single Parent Travel w/ Bonus Video! 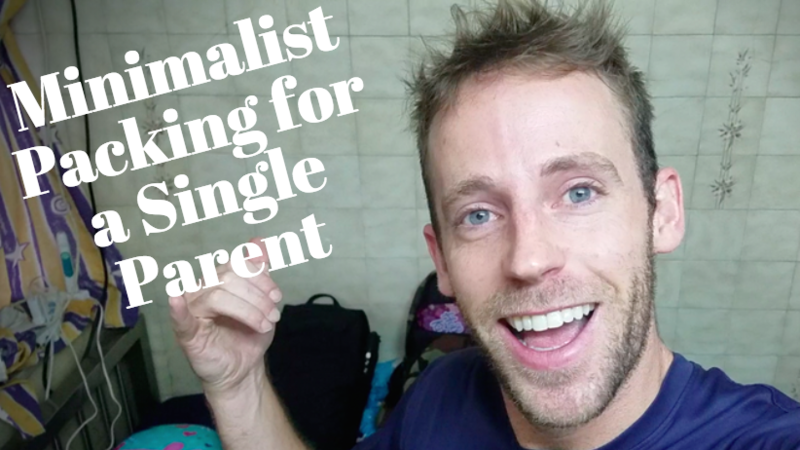 I know a lot about single parent travel, mostly because it’s the definition of my life. What I know best is managing times of stress before they occur. It’s called preparation folks. Preparing to get on a plane with your kids takes just that. Here are my six quick tips for traveling with your children as a single parent. *Affiliate links (disclosure here) may be present in this article. Since everyone can usually take a carry-on bag for free, make sure your kids each take one. The key is to give them the big, lightweight objects. This distributes the load evenly among the capable legs in the group. You don’t want to be crushed to death by your family’s luggage. Books are valuable tools for surviving single parent travel life. Keep them safe by packing them on top of everything else. All the books you’ll need to pack to travel as a single parent. You don’t want their spines to be snapped. Remember: books have feelings, too. You don’t want to be carrying around a wardrobe. That’s too heavy for proper single parent travel techniques. Not a smart way to pack for traveling. If you need stylish clothes on the road, check the local night markets. Surviving family travel means carrying as little as possible. Once your bags are packed, unpack them. I promise you, you overpacked. I use one check-in bag for long-term traveling with my daughter. And we don’t even fill it. You can check out the bag I use in the video below. Books aren’t smashables, they belong up high. Single parent travel isn’t too difficult. Until you don’t have a toothbrush and diapers because you checked them in. Have a little bit of everything you would need for a day and a morning. Just enough to get settled without stressing after your flight. If you enjoyed this quick article and the video attached, be sure to pin it above or share it with your friends! Subscribe below to the mailing list to keep in touch and receive awesome offers on my upcoming books!